There’s much talk about “smart cities” these days, and many people think that technology lies at the center of these discussions. But what makes your smart phone smart is not the technology per se, but the way its applications make your life more easy, productive, and fun. In the same way, smart city claims should be evaluated based on their ability to improve quality of life for all residents. 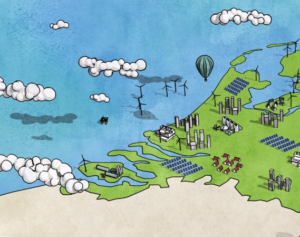 So what is a smart city and how is it different from a sustainable city? 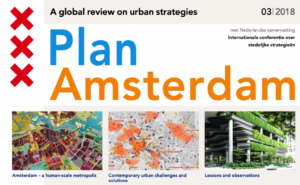 These were the key questions Sustainable Amsterdam tried to answer while hosting a group of urban planning students from TU Dortmound on a Smart City study trip in November 2015. The most comprehensive model of smart and sustainable cities identifies six main elements: people, governance, environment, economy, mobility and living . 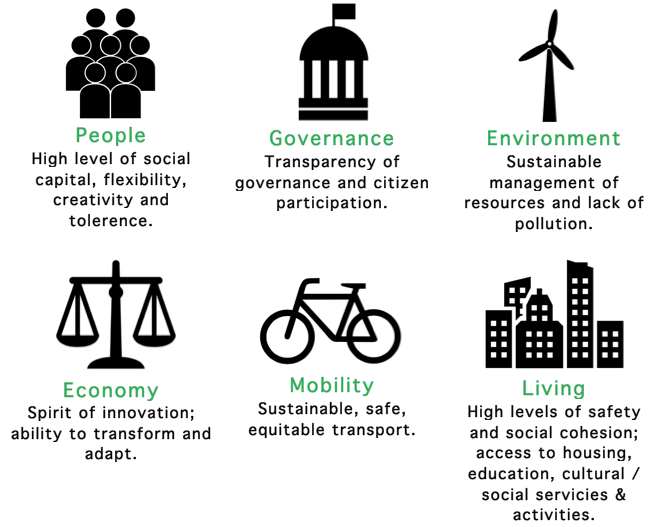 These elements are used to evaluate a city’s human and social capital, participative democracy, natural resource management, economic competitiveness, transport and quality of life. The same six elements form the basis of “smart” and “sustainable” cities. Framework adapted based on  & . But rarely is such a holistic approach applied to describing and thinking about smart or sustainable cities. It is much more common to focus more narrowly on information communication technologies (ICTs), with the stated goals of improved urban functions and economic competitiveness. What sets Amsterdam apart as a smart city is the knowledge that technology is neither necessary nor sufficient condition for success. 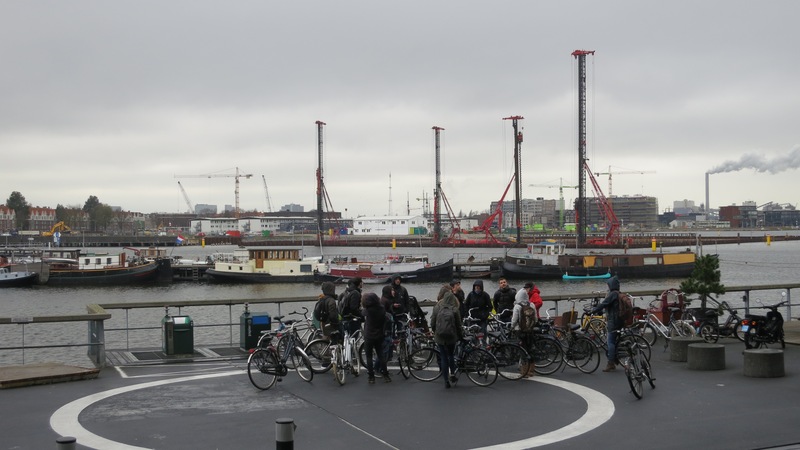 To illustrate this point, the students were introduced to one of the newest and most innovative urban redesigns in Amsterdam: Plantage Middenlaan. This is a great example of how cities can climate proof infrastructure by prioritizing non-motorized and public transportation. The design illustrates a commitment to sustainable transport, while at the same time permeable green space offers additional benefits for water drainage and improved air quality. 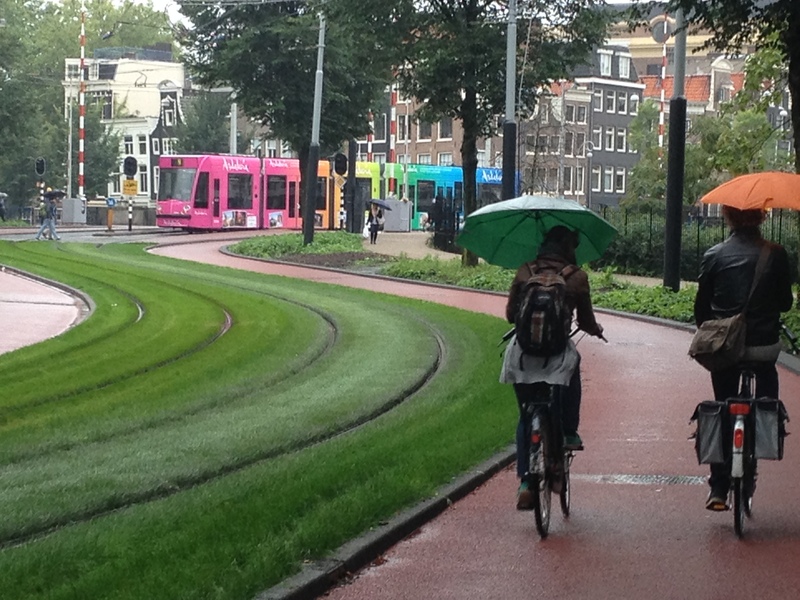 Climate-proof urban design prioritizes sustainable transport and green areas. 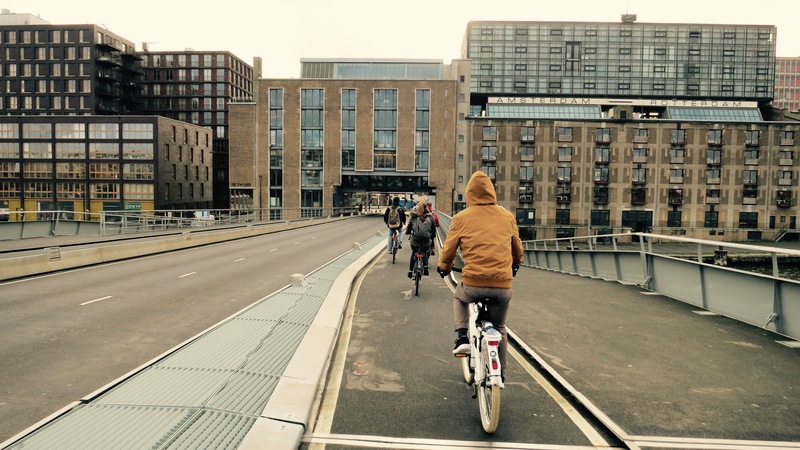 Similar themes were explored while visiting two of Amsterdam’s car-free neighborhoods. 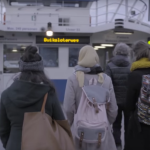 Prioritizing pedestrians and cyclists around communal spaces is a low-tech solution that forms the basis of safe, social and vibrant communities. 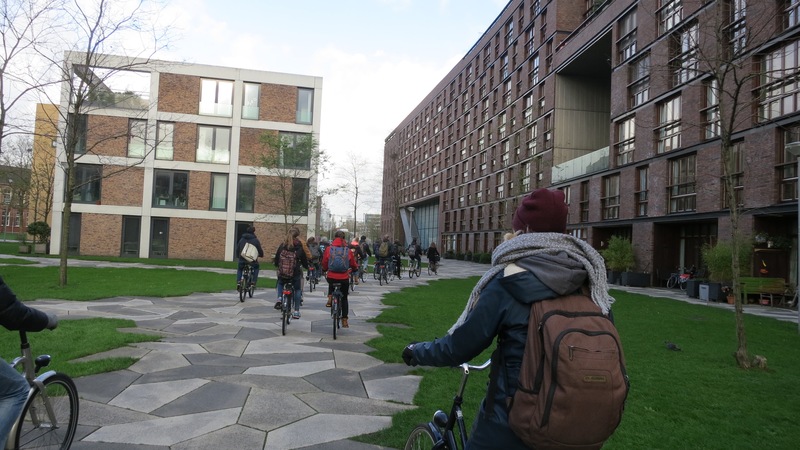 Exploring Het Funen car-free residential development. Another reoccurring theme was the repurposing of industrial infrastructure for new and creative uses. The city’s historic grain silos and its ship building yards have been converted to housing and spaces for the new economy. Not exactly high tech – but definitely innovative and sustainable! The key message for the group was that while so many cities want to be “smart”, as future city makers they should be aware that it’s much more important to focus on building a city on “wise” foundations. 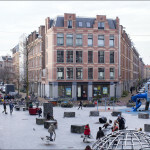 Successful cities are generally dense, mixed developments that support human interaction. Once these bases are established, ICTs can be deployed to enhance a wide range of urban operations and increase competitiveness. 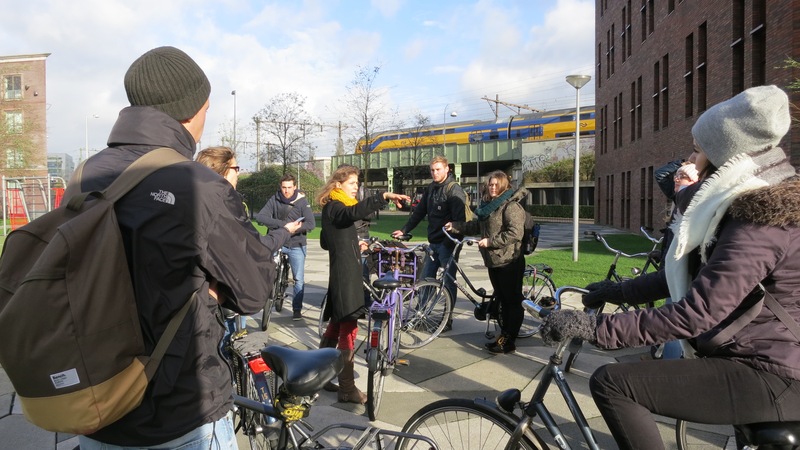 The TU Dortmund visit was used as a test-bed to launch the Sustainable Amsterdam SmartR City Tour. 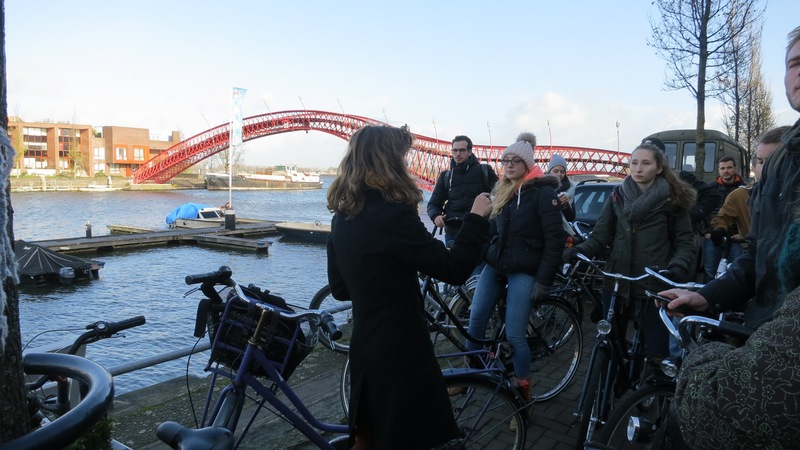 This tour illustrates that what sets Amsterdam apart from other smart cities is a holistic approach to city making that puts even greater emphasis on social infrastructure than on ICTs to make Amsterdam a leading livable, vibrant and resilient city. 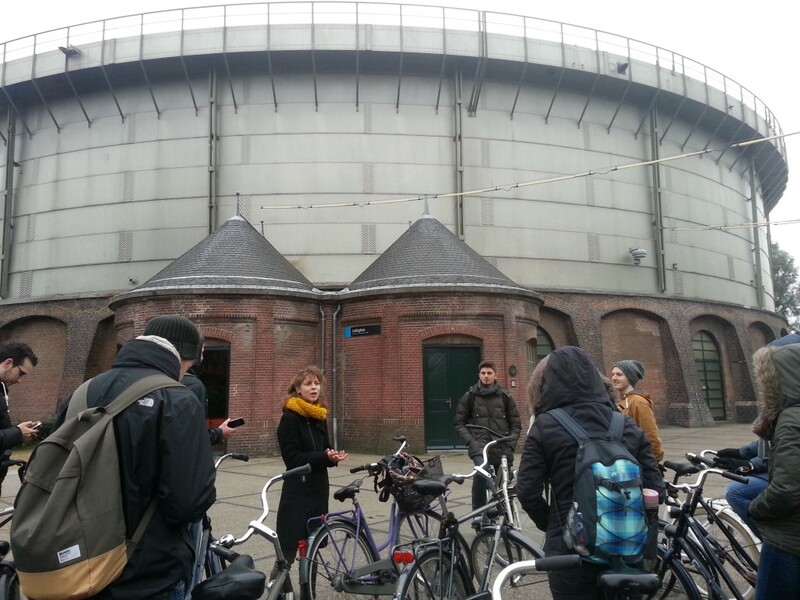 For more information, and to book your SmartR city tour, email cornelia@sustainableamsterdam.com. van Timmeren, A., Henriquez, L., Reynolds, A. Ubikquity & the Illuminative City: From Smart to Intelligent Urban Environments. TU Delft. Westergasfabriek shows how a brownfield, industrial site can be converted into a vibrant culture park. 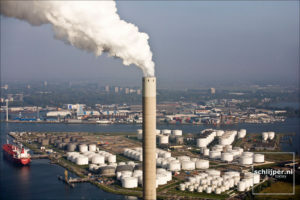 Seen in the distance, Houthaven is being constructed as Amsterdam’s first climate neutral district. 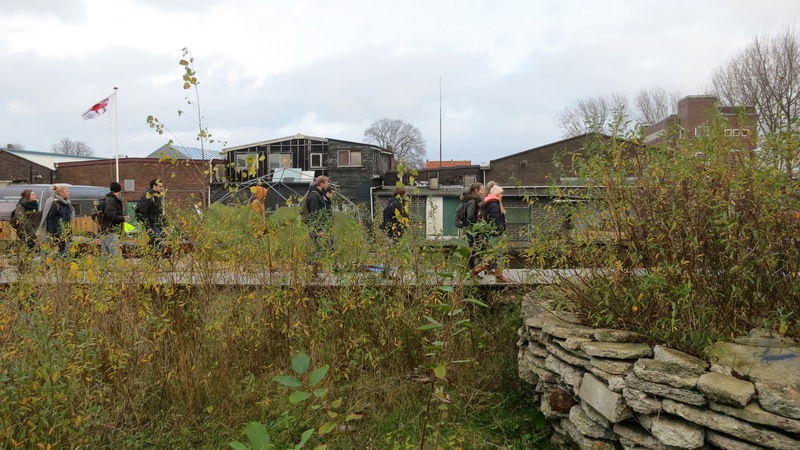 Exploring De Ceuvel: the clean-tech playground in Amsterdam North.